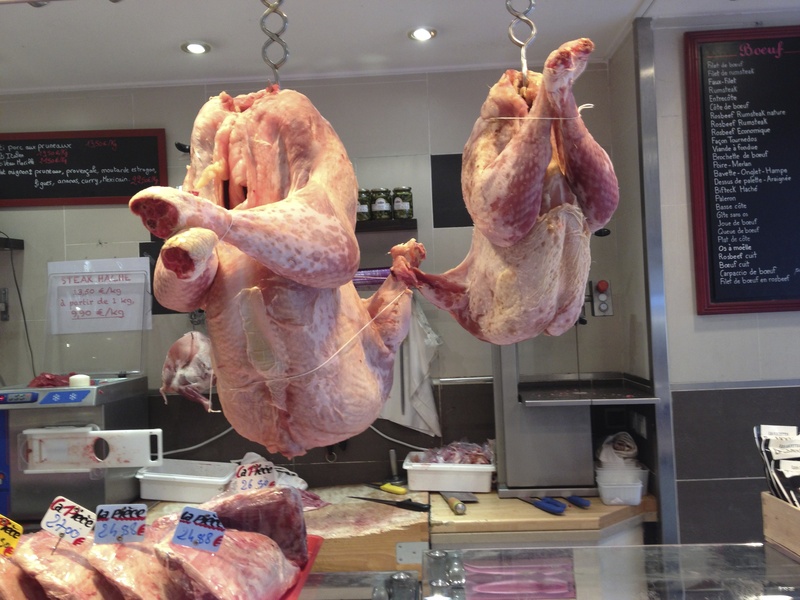 Boucherie Parisienee Debray supplied our Thanksgiving turkey. We bought one of their smallest, which the butcher stuffed with pork and chestnuts. There is no way that this bruiser could have fit in our Paris oven. Published: December 1, 2013 Dimensions: 3264 × 2448 Posted in: Truffled Turkey Post a comment or leave a trackback: Trackback URL.